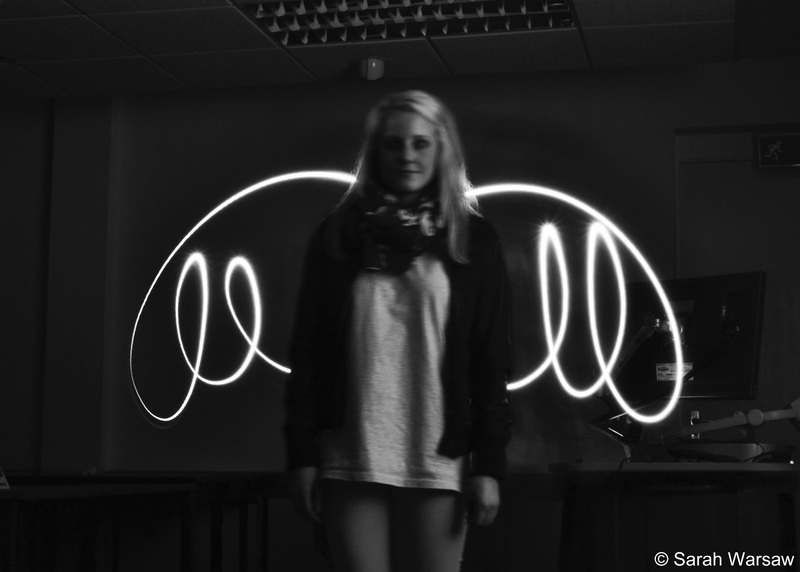 Photo Society – Light Painting! This weeks session with the Photo Society saw us turning out the lights and doing some light painting. 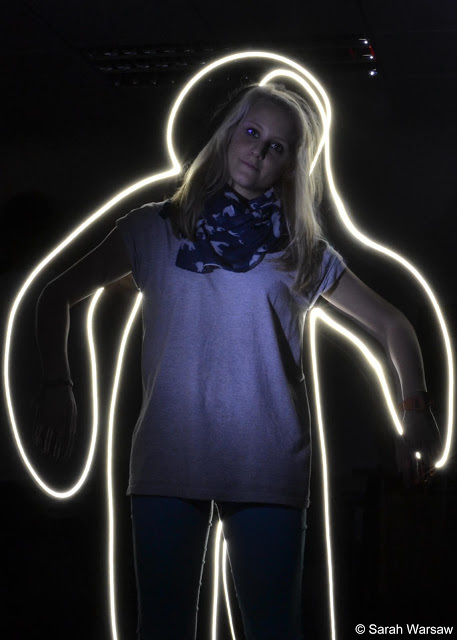 We had our cameras on a long shutter speed, these pictures were done with about 10-15 seconds, so I had to keep really still whilst my friend drew around me with a torch. You need a tripod or a table to rest the camera on for this kind of shot due to the long shutter speed. It was such good fun though. Next Post A Weekend in Dublin! Light Painting pictures are so cool. I see a lot of them during the New Year of people doing 2013 and I'm always so impressed. Is it really difficult?